an insurance policy in accordance with these General Terms and Conditions. an expression with a specific meaning in this agreement have the same meaning. 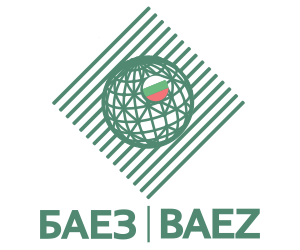 (1) INSURER is “Bulgarian Export Insurance Agency” EAD. factoring services of the Contractor under the Factoring Agreement. (4) A DEBTOR is the person due to pay the Insured under the factoring contract. to apply a bankruptcy procedure. Additional provisions of the Commerce Act. arising from the Contract, transferred to the Insured under a factoring contract. covered risks under Section II, Art. 5 of these General Terms and Conditions. up to two years in which a debtor under the contract for export of goods / services is a person under Art. 3, p.
or deferred payment services up to 2 years. the terms and conditions of the insurance contract. may exceed 90% of the credit limit, unless otherwise agreed in the Policy. activity under the Credit Institutions Act. services or contracts for the export / dispatch of goods / services by the debtor. of the period on waiting. the insurance coverage under these Terms and Conditions. exports / dispatches of goods and services. 1. the date of announcement of the court decision in the Commercial Register in the case of Art. 5, para. 1, p.
extrajudicial act in the case of Art. 5, para. 1, item 4.
payment under Art. 18, para. 1 of these General Terms and Conditions. the insured event is determined under Art. 7, para. 1, item 1.
transfer ownership of the goods until the date of payment of the goods agreed in the contract. The maximum credit period for each debtor is indicated in the Policy. the date of payment initially set. the extension has an effect in the future. Art. 9. (1) Determination of credit limit. the credit limit and the period of its validity are stated in the Policy. (2) Increase in credit limit. informed the Insured of its decision. (3) Decrease or withdrawal of credit limit. Credit Limit The Insurer is obliged to notify the Insured in writing. any damages recognized by the Insurer in the limits agreed in the Police. unless otherwise agreed in the Policy. of the credit limit, according to Art. 3, para. 10.
compensation under this Framework Policy. (3) The period of validity of the insurance contract shall be stated in the Policy. minimum premium. The policy expires at 24.00 on the date specified therein. conditions specified in the Policy. the conditions of the Police, including its termination. mutual agreement between the Insurer and the Insured in writing. is indicated in the agreement. obligations under the insurance contract or attempted fraud. of the minimum insurance premium paid to cover administrative costs. certifying the occurrence of these events. contracts for factoring made until the date of termination of the Policy. to revise the terms thereof. premiums and has the right to claim their payment for the period until termination of the contract. from the date of its receipt, the contract shall be terminated with the consequences under par. 3. Insurer’s risk. The amount of the insurance premium is indicated in the Policy. from the receipt of the account issued by the Insurer. contributions from a minimum insurance premium from the amount of the insurance indemnity. the setting of a credit limit for each debtor, according to the Insurer’s Tariff. the specified delivery times in relation to the transferred receivables. The insurer does not owe the payment of insurance indemnity. verifying the authenticity of the declared data. in whole or in part, the payment of compensation. overdue receivables of the Insured under factoring contracts. guarantors or other third parties. or to wholly refuse to pay an insurance indemnity. provision of services covered by the Insurance Policy. percentage of the insured risk specified in the Policy. has the right to refuse partial or full payment of the insurance indemnity. the insured and / or debtor, or their amendment. considerably in view of his interest. The policy rate of insurance indemnity from the damage. Insured receivables on commercial invoices. the terms and conditions set out in the Contract Agreements. receivables of the Insured under factoring contracts. together with interest within 15 days. exempts the Insured from his obligations towards the Insurer. the usual costs incurred in defining it. transferred to the Insured Claims for which compensation has been paid. 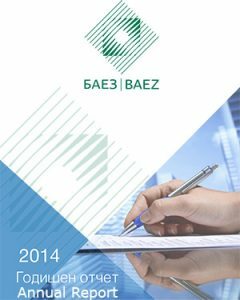 according to the Commercial Law of the Republic of Bulgaria. uninsured claims of the Insured under factoring contracts. compensation up to the moment of its final payment. legislation of the Republic of Bulgaria by the competent court in Sofia. which have become known to them in this capacity.